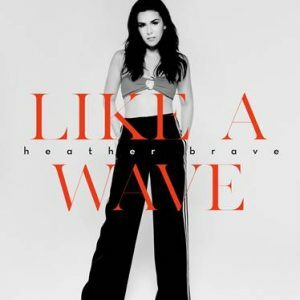 The 20-year-old pop singer/songwriter Heather Brave recently released her brand new single “Like A Wave” – PRESS HERE to listen/embed. The track impacted Top 40 radio on September 11th. It recounts the wonders of infatuation at first sight with a buoyant chorus, an effervescent beat, and an immediately irresistible hook powered by a heartfelt delivery. 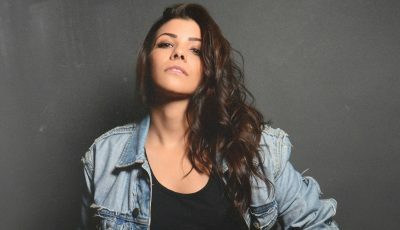 Heather proves that bright, brilliant pop music can go hand-in-hand with quirky and clever expression. “Like A Wave” illuminates the intimate singer-songwriter quality of her sound combined with her knack for indelible hooks. The track perfectly showcases the passion in Heather’s voice and the prowess of her pen through meaningful lyrics. Inspired by everyone from Ingrid Michaelson to Lily Allen to Regina Spektor to Christina Aguilera, Heather’s artistry is a marriage of widescreen pop palatability and handwritten honesty. 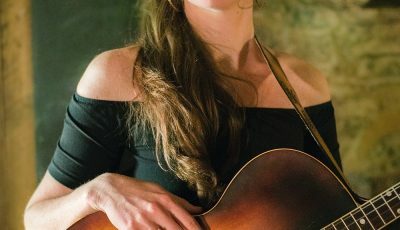 She began her career in local theater at a young age and has racked up many acting credits in film, TV and off-Broadway, but her love of music always resonated the loudest. Now she is diving in full force. The stepping stones along her creative journey have led Heather to her newest music as she readies a forthcoming EP. Thank you for having me! I just woke up, and I’m hanging out in my glasses, having some strawberries (my favorite), and listening to some laid back SZA. She’s amazing. My go to get out of a bad mood song is Gemini Feed by Banks. It’s such an unapologetic powerful song and singing it loudly always feels so good. Clean Bandit also usually is the move because Symphony and Rather Be are uplifting and fun. I don’t remember a time when I didn’t know that I wanted to perform. It has always been a part of my life and I’m incredibly grateful for that. When I was 5, I did a singing recital, back when I would only wear dresses that would twirl when I spun around, and it was my first one. My dad was worried that I’d be too nervous and scared, and I basically looked at him like, “chill, I got this,” and I belted out Do a Deer from The Sound of Music no problem. I love that question, and it absolutely has. I grew up in NJ, but was always going into NYC, right across the George Washington Bridge. Having access to these two different worlds, one that felt smaller and comfortable and the other that felt so vast and diverse, I was exposed to a lot of people and was able to see so many amazing artists. I remember freaking out seeing Adele and The Civil Wars at the Beacon Theater when I was in 8th grade. I was way up in the balcony and was just mesmerized by how their intimate lyrics and true emotion just echoed throughout the whole theater. That became something I wanted to capture in my own music. This past year has been so rewarding for me and really transformative. I started going to Nashville to write last August and have been collaborating with new people who are on my wavelength and understand what I’m trying to say. 2017 has solidified who I am as an artist and I’ve never felt stronger or clearer on what I want to say than I do right now. It’s been so thrilling too to finally release “Like a Wave.” It’s like I had a secret that I was just waiting and waiting to share, and it’s finally out! Let’s talk about your newest single “Like A Wave.” What was the inspiration for it? I understand that lyrics are incredibly important to you so how did you go about writing this song? Like a Wave stemmed from when I met this guy at a guitar store, and it was this surreal moment where we both knew there was a crazy energy between us. Because I had such a specific awareness of how that moment felt, it was natural to write it. I think it took us less than an hour to write because the song felt like it was just waiting to be written, and that makes the lyrics flow so fast. I think holding onto that specificity was crucial for this song, and kept it focused and honest. How do you think “Like A Wave” prepares listeners for more music from you? Speaking of, when do you plan on putting out more music and your debut EP? It’s going to be so soon!!! Like a Wave is a good peak because it’s about not holding back and doing what you know you have to do. That theme of going for it a common thread in my music, and makes me feel empowered singing it. Still, each song is a different piece of me and comes from unique inspirations, and those different flavors sculpt a really cool story overall. So soon I promise!! How did you first get involved with FARE: Food Allergy Research & Education? I’ve had life threatening food allergies to peanuts my whole life. It has impacted every day in some shape or form, and in dealing with this, I’ve learned the true value of speaking up and not being afraid. FARE is an incredible resource and community of support. Being able to connect with other young people with food allergies and teach them that they are in control has been extremely rewarding. I’m inspired by meeting others who struggle, and seeing firsthand that whatever you are going through does not have to stop you from your dreams and living your life the way you want. Okay so I tried ramen for the first time and it seriously changed my life! Shout out to Jin Ramen on 82nd and Amsterdam, my new home for winter in NYC. Art in any shape or form is the most therapeutic thing. Music is at its best when it’s authentic and real, and what is real for us today is the issues that we face in the world. Sharing our thoughts, fears, and hopes connects us and immediately makes us stronger when we realize we’re not alone! I grew up listening to a lot of iconic pop like Britney Spears and Christina Aguilera, but as I got older, I discovered artists like Ingrid Michelson and Regina Spektor, and it changed my world. I’ve always tried to mold the two sides, and am constantly intrigued by what other musicians are doing. I’d love to write with Sam Smith. I’m beyond happy he’s releasing new music. I would also be very down for a duet with Lauv. “I Like Me Better” is always stuck in my head. 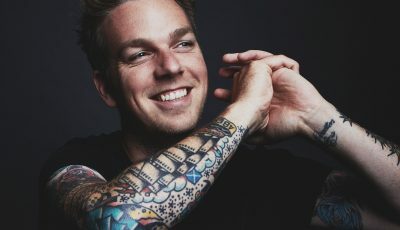 Every song touches on the idea that you should just go for it and be upfront about how you feel instead of hiding from it. Our vulnerability is our power, and it’s beautiful! I want fans to be inspired and empowered by that. Just go for it. Sing loudly. Listen to as much as you can. Your voice is yours and what you have to say is only yours. That is amazing. Value your uniqueness, and don’t let go of it. Keep your eye on the prize, but recognize that the prize is you being your most authentic self through music. That’s the best feeling. Don’t be afraid to grow and find that every day. The unpredictability is the fun part :). Thank you for reading about my new music and ramen obsession!! There is so much more to come and I’m so so grateful you’re with me for this.